Speaker Karu Jayasuriya yesterday announced that he would appoint a four-member committee to scrutinise video footage of Thursday’s parliament sessions to decide whether the supplementary estimate submitted by government seeking the approval of the House had been duly passed and to inform the House of the results. The Speaker made the announcement of appointing the committee when the Opposition MPs raising points of order demanded to know whether the estimate had been passed or not. They pointed out that the voting method and the subsequent results were wrong and distorted the outcome of the vote. Minister Rauff Hakim to investigate the Thursday’s incident. Chief Opposition Whip JVP leader Anura Kumara Dissanayake raising a point of Order at the commencement of parliament sittings said: "There were two estimates of which one sought to cover the expenses of purchasing luxury vehicles for the Prime Minister. Such extravagant expenses are incurred while people in the country are burdened with taxes. That was why we demanded a division on the matter. When a division is called on a bill or a motion the next most important thing is the result of the vote and whether the motion or bill is passed or not. However, the estimate that was brought before the House on Thursday was not passed by this House duly. It was pronounced passed after conducting a vote that was not in accordance with the guidelines and Standing Orders. It was wrong and the trust of parliamentary democracy is now being challenged. The results were wrong and the way the votes were counted too was wrong. The Presiding member at the time adjourned the House wrongly. Therefore, we call on the Chair to hold an investigation into this. Leader of the House and University Education and Highways Minister Lakshman Kiriella: When the Chair gives a ruling on a vote that is the final decision. Standing Orders 42, 43 and 44 have outlined the process of vote taking in Parliament. Thursday’s vote was taken in accordance with that. Now you talk of parliamentary traditions. Does surrounding the General Secretary’s office after the Chair has adjourned the House come under parliamentary traditions? Once a vote is taken and the result is announced there is no need for recount, for the Standing Orders have no provisions for that. You put pressure on the Secretary General and he was led by force for a recount. He stated some new results under duress. This is not a good trend. This will set a wrong precedence of opposition members surrounding the Secretary General’s office after every vote in the future. Anything can happen within the chamber. The Prime Minister needs to buy new vehicles. He is travelling in old vehicles because the former President has taken with him all the new vehicles. Finance State Minister Lakshaman Yapa Abeywardena: MP Anura Kumara Dissanayake is wrong. There is no mentioning of purchases in the supplementary estimates. This estimate has only Rs 55 million. MEP Leader Dinesh Gunawardena: You can bring any Bill to parliament but it becomes law only if it is passed. If a financial regulation or bill is defeated, the finance minister should resign or you can refer the bill again to the Cabinet of Ministers and then it can be taken up in Parliament again. The vote on the estimate has been rigged. We informed the Chair that the process was doubtful. However, the presiding member overlooked our requests. If the vote was wrong we can go for a recount. The Standing Orders have provisions for that. If you do not know Standing Orders, read them again. The Chair should have corrected that mistake then and there. The results were wrong. Now the Speaker can announce that the estimate was defeated. UNP MP Ashu Marasinghe: Opposition MPs forced the Secretary General to go for a recount. I saw similar occasion when former President Mahinda Rajapaksa put pressure on elections commissioner to get his results. According to the Standing Orders, if an MP wants to change the vote, he should do it before the results are announced. Sports Minister Dayasiri Jayasekera: According to the Section 42 of Standing Orders, if an MP casts his vote wrongly, the matter should be raised before the results announced. You cannot raise the matter once the results are announced. Chief Opposition Whip Dissanayake: The copy of estimate with me has references to allocations made to the Prime Minister’s office. We made a request before the results were announced that the vote was rigged. In any case, the Standing Orders have been prepared without expecting that the MPs would rig a vote in Parliament. NFF Leader Wimal Weerawans: Parliament should follow proper procedure when passing a financial bill. Otherwise how can you call this parliamentary democracy. 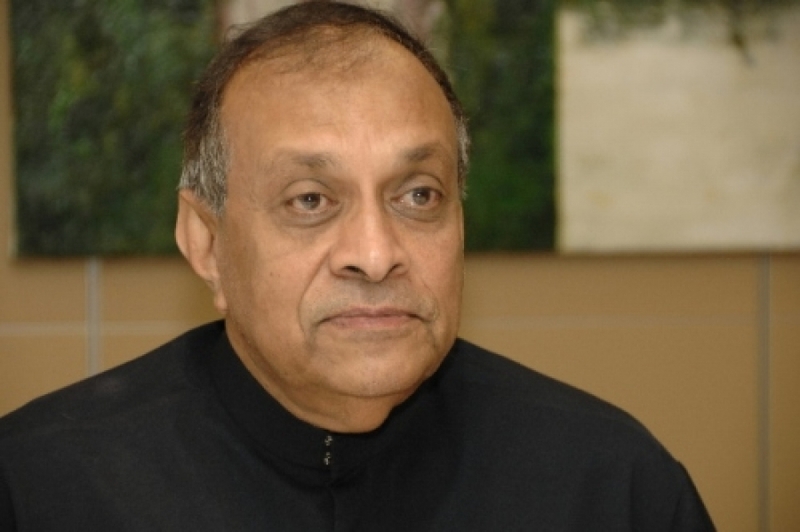 Speaker Jayasuriya: We can take a decision at party leaders’ meeting. I will appoint a committee of four members to examine the video recordings and to give a decision whether the vote was taken duly. I appoint Opposition Leader R Sampanthan, former Speaker Chamal Rajapaksa, Justice and Buddhasasana Minister Wijayadasa Rajapakshe and Water Supply and Urban Planning Minister Rauff Hakim to investigate the Thursday’s incident. Chief Opposition Whip Dissanayake: That is wrong. They voted with the government on Thursday. They voted for the estimate. Only MP Chamal Rajapaksa was not there. Speaker Jaysuriya: Opposition Leader has been appointed to represent the Opposition. MP Chamal Rajapaksa was not in the chamber when the vote was taken on Thursday. We can further discuss this at the party leaders’ meeting.